All our guides are experienced and speak fluent english. They will show you the best spots in their homeland and introduce you to the culture of the many minorities living in villages around Sapa. Each one of them will make your tour a wonderful experience. Chan is our first guide, manager and owner of the company.Beside a lot of administrative work, she organises everything for your tours and if she finds the time also goes trekking with our guests. Read more about Chan >> Sung is Chan’s husband and also an active tour guide. 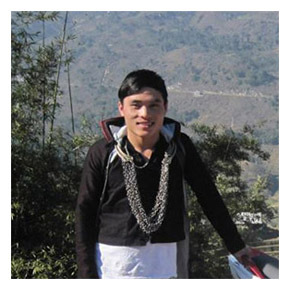 But most of the time he does administraive work for Hmong Family Trekking.Since August 2014 he is the manager of the Family Guest House in Sapa as well. 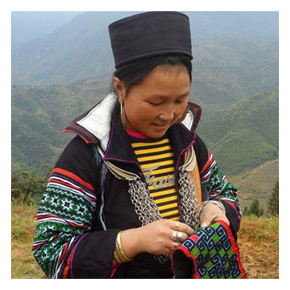 Read more about Sung >> Mo is working as tour guide and selling handicrafts to support her family.She is a very experienced guide and knows the best trails around Sapa. Vu is Chan’s sister. 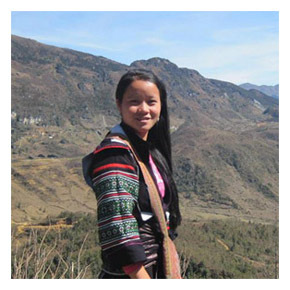 Her function as co-manager is executed from outside Vietnam as she lives abroad.When she is in Sapa she is of course a tour guide as well.